Well, Valentine’s day is over, meaning so are my 14 days of love. I’m pretty sure I’m going to miss the pink and sweet festiveness! Although, I’ve eaten way too many sweets so far this month, so it’s probably a good thing the chocolate holiday is over. 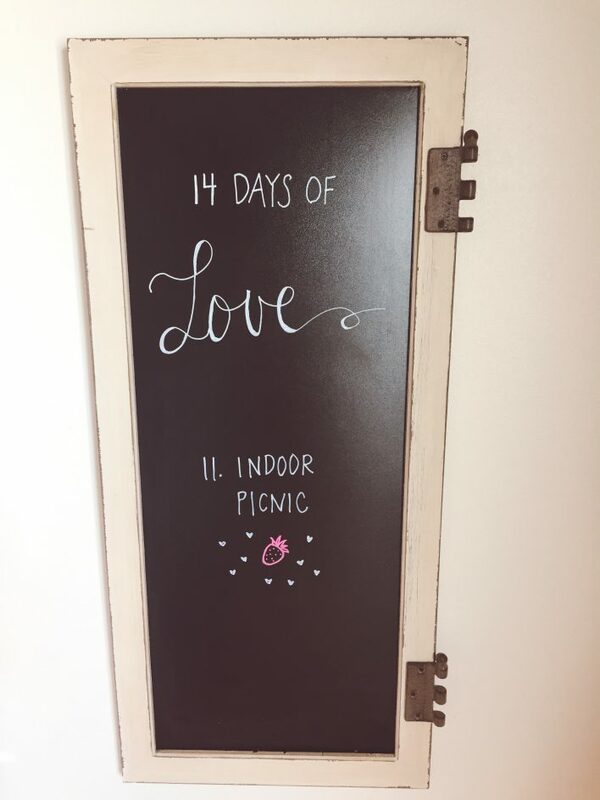 The second half of our daily valentine to-dos were a walk + hot chocolate (which fell on a night we had a snowstorm, so it ended up being just hot chocolate), watch a romantic movie, buy a favorite valentine’s candy, indoor picnic, valentine’s themed breakfast, festive mani, and dress up and make dinner together. The movie we picked was Age of Adeline, which I really liked. I just adore watching her look change throughout the eras. We picked up some candy hearts (a valentine staple) and little boxes of chocolates which I love. Our indoor picnic was a huge success – my favorite of all the things we did. Our themed breakfast menu was pancakes with PINK homemade whipped cream, strawberries and raspberries, and bacon. The whipped cream stole the show. 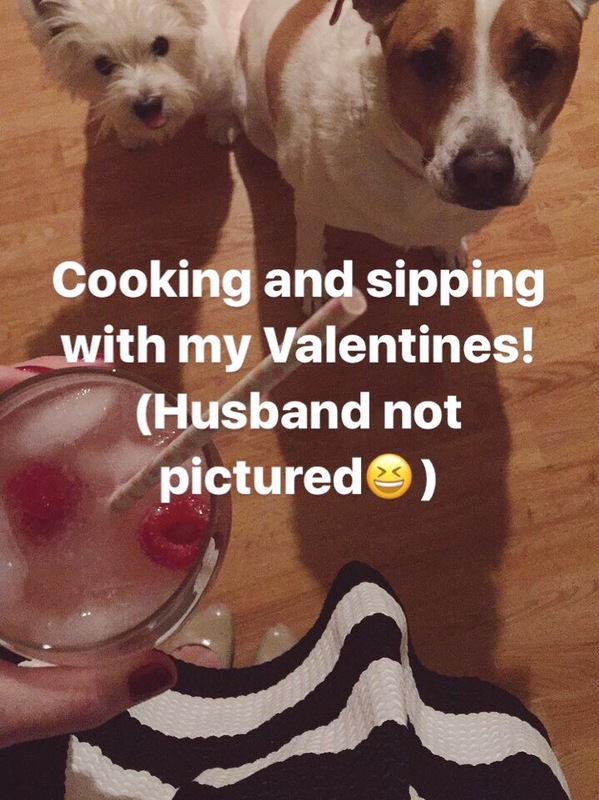 For Valentine’s Day yesterday we dressed up and made dinner together. He handled the steaks, and I handled the homemade spicy potato wedges. (One of my new favorite things.) We also had strawberries and raspberries, leftover beer bread, and some sweet bubbly lemonade (cran-raspberry La Croix + pink lemonade). 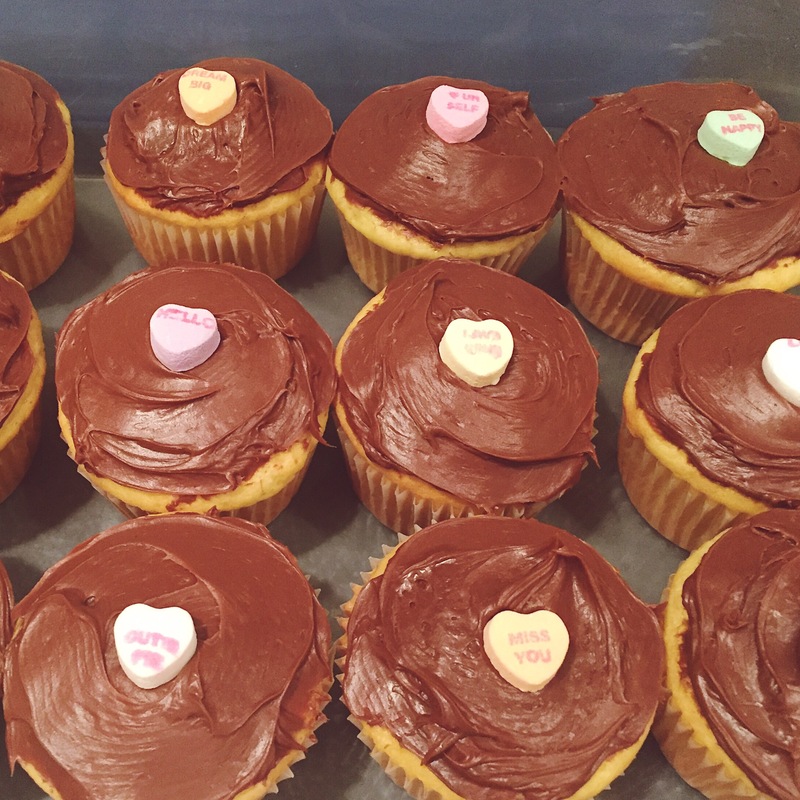 For dessert we had leftover cupcakes from the batch I made and sent with my hubby to work. I think this was a successful Valentine season. What’s next? St. Patty’s Day (green and gold everything), and then SPRING!!! So ready for this ice-land we’re currently living in to thaw out.